Siding is designed to shield your home from harsh weather conditions that may come your way. Many siding materials today, such as fiber cement, are impervious to extreme heat, strong winds, and excessive moisture. Additionally, they help you address hidden structural damage around your home. The studs in the walls may have already deteriorated, or your windows might be letting water seep in. Your trusted contractor will perform a thorough inspection prior to installation and make immediate repairs. Since siding covers more than half of your home’s exterior, the perfect design can give it a fresh look and feel. You can use it to accentuate its architectural character or give it a total makeover. You can choose from a variety of colors, textures and profiles that suit your personal style. Most siding products nowadays are built to stand the test of time, which means they are easier to maintain. They also feature innovative coatings to maintain their beauty for many years. James Hardie® siding, for instance, comes with a baked-on finish to withstand cracking, chipping and peeling. This saves you time and money from costly maintenance. 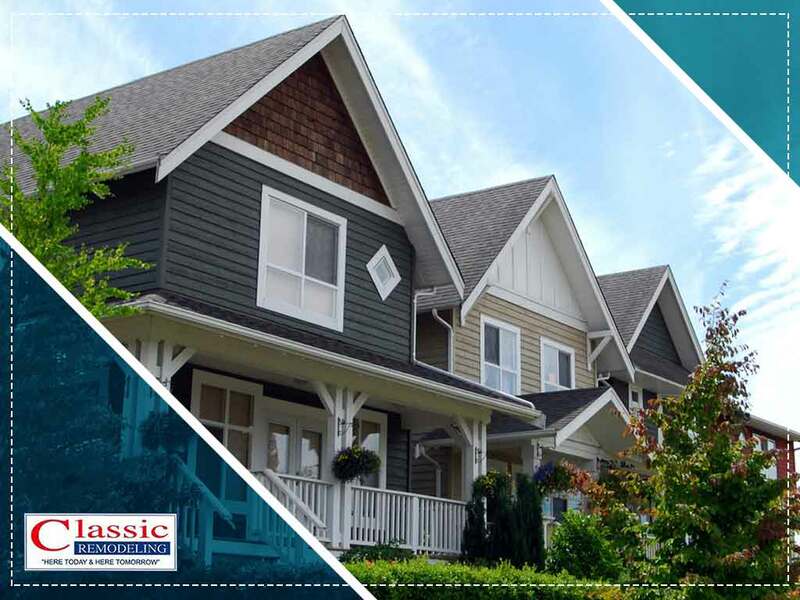 When it comes to high-quality siding, trust the experts at Classic Remodeling Corp. As the premier roofing and siding contractor, we have partnered with leading brands like James Hardie, Alside, and Mastic to give you the best value for your investment. Give us a call at (201) 228-9006 to learn more about our products and services or fill out our contact form to request a free, no-obligation quote. We serve Paramus, Hackensack and nearby areas in NJ. All Rights Reserved. © 2019. Classic Remodeling Corp.